Periodontal disease develops when the bacteria present in the mouth begin to proliferate and attack the gum tissue, resulting in inflammation. Patients may notice certain symptoms associated with that inflammation – red, swollen or bleeding gums, for example – that indicate the presence of early-stage gum disease, known as gingivitis. New tooth sensitivity or pain may also be a symptom of gingivitis. More advanced gum disease is marked by issues like pockets between the teeth and gums or loose teeth. Gum disease is quite common, affecting nearly half of all Americans over age 30, and it can have devastating consequences, potentially causing tooth and bone loss, so patients should monitor their gums carefully for the signs of this issue. When you do notice symptoms, consult with a periodontist to determine the most appropriate treatment for your circumstances. The periodontist will then thoroughly evaluate your case, taking a complete medical history, including assessing your nutritional intake and medication/supplement use, and a review of your oral hygiene and lifestyle habits. The gum tissue will be probed to determine the depth of any pockets, and digital x-rays can help to illustrate any damage to the underlying bone structure. Patients who notice signs of this condition are advised to seek gum disease treatment promptly, as delaying treatment could allow the disease to progress and require more invasive interventions to resolve it. Gum disease does develop in stages, and the periodontics specialist will determine the most appropriate treatment for your case based on how advanced your condition is. For example, gingivitis often responds to a thorough cleaning. If your periodontal disease advances, however, you will need to undergo a more intensive gum disease treatment. For example, gum tissue that has receded may need to be replaced in a surgical procedure. A board certified specialist in periodontics can help to give you the best outcomes when you are suffering from periodontal disease. If you are concerned about any symptoms regarding your gums, contact our office and take advantage of our expertise. 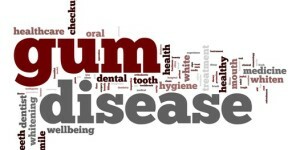 This entry was posted in All, Blogs, gum disease treatment, Periodontal (Gum) Disease. Bookmark the permalink.